At the time of a challenge or a test of faith, a person cannot comprehend the benefit of such a difficult situation. Thus, it is hard for him to thank Hashem, because on a cognizant level, he perceives the situation as bad. We are used to saying thank-you for something good. During times of trial, there is no logic to attest to the goodness of the situation. When a person articulates thanks to Hashem for something that seems bad, he fortifies his belief that everything is from Hashem and everything is for the best. It’s very empowering. Hashem is like a shadow- wherever a person turns, his shadow turns with him. So the Creator, in His humility, walks with a person as the person, himself, decides. If the person believes in Hashem rather than in natural forces, Hashem corresponds by performing miracles and defying natural forces for that person. According to his level of emuna. If a person believes that Hashem is good, then Hashem shows him that He is good. He merits seeing Hashem’s mercy. When a person believes that everything is good, then Hashem’s mercy encompasses his life. He experiences Hashem’s goodness and salvations at every turn. Every situation turns out for the best. A man about 60 years old, who was no observant, was blinded by a stroke. While he was in serious condition, a debt collection agency came for a huge sum from the man. They threatened to take all his possessions, which would not even cover the sum of his debt. The man fell into a terrible depression. One of our yeshiva students gave him our Stop Crying CD. He listened to it once and began to thank Hashem; he listened to the CD over and over again. 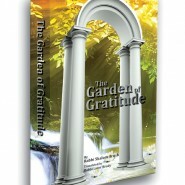 He began to feel joy and thanked Hashem for his troubles. After a number of hours of thanking Hashem, he burst into tears and asked Hashem to forgive him and have mercy on him. He again thanked Hashem for everything, but asked Hasehm to help him. Soon, he regained his eyesight. Then someone came to him and gave him- as a gift- the entire sum that he needed to cover his debt! Here was a man who was light-years away from Torah and mitzvot; thoughts of doing teshuva were foreign to him. As such, this story clearly shows the power of thanksgiving followed by heartfelt prayer. JewishMOM, I know this whole approach might sound as strange to you as it once did to me, but promise me you’ll try it out. Next time you are in a difficult situation, no matter how small (you can’t find your glasses), and no matter how big (you just lost 12 million dollars on the stock market), make a list of 10 reasons why you thank Hashem for what you are going through…And I think there’s a good chance you will be pleasantly surprised by what happens afterwards;) Keep me posted!